Fantastic value in Country Chase! This nicely-maintained townhome is ready for you to move-in! The freshly painted unit features plenty of light, an open first floor plan and a newer AC, Huge sliding doors open up to a spacious screened-patio with tranquil views of the wooded conservation behind the property. Upstairs, you'll find two comfortable bedrooms and a bath complete with walk-in closets, ceiling fans and more of that natural light! All appliances including the washer and dryer convey. With a fun pool area, basketball courts and play area, this well-located community is the perfect choice. 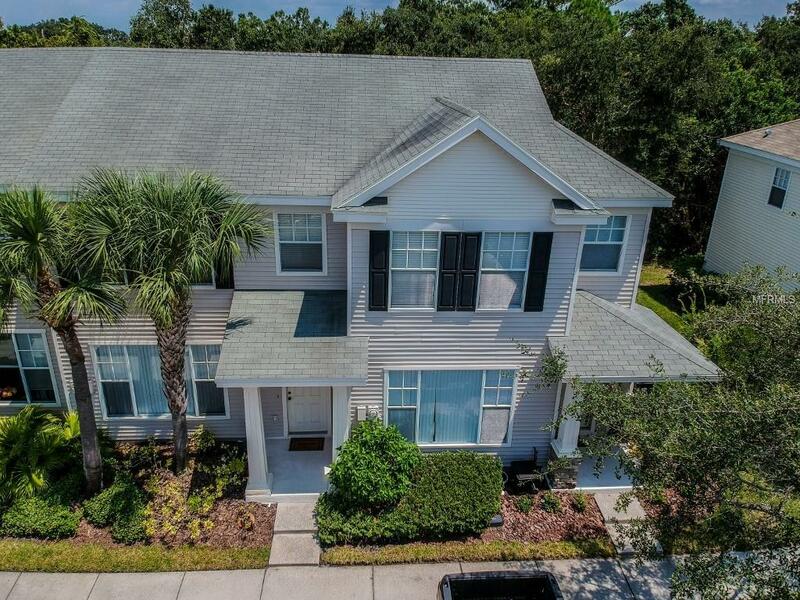 Near Westchase, I-275 and the Veterans Expressway and just minutes to downtown Tampa- schedule your viewing today! Additional Lease Restrictions Buyer To Verify Lease Restrictions With Association. Pet Restrictions Buyer To Verify Pet Restrictions With Association.